Is it a good idea to have multiple coworking spaces in one city? This blog post first appeared on Jonathan Markwell’s blog and is republished here with permission. The subject of competing Coworking spaces within one city came up in the Coworking group, and during the discussion this gem came to light. We are proud to republish it here as part of our effort to revitalize this blog and the Open Coworking community. I’ve had to ask myself this question many times since starting The Skiff. The growth of coworking is leading to it being asked increasingly by first time coworking space founders and long term owners alike. My short answer is “yes” but be careful (I’ve included a checklist at the bottom of this post to help with that). It’s taken me a few years to get to this answer. While I’m confident that it’s the right one for Brighton today and probably your city too, let me share with you why I felt “no” and “maybe” were better answers a couple of years ago. It will help you understand and work with the people in your city who might resist your efforts. We didn’t worry about there being multiple coworking spaces in one city when we started The Skiff. Through its accidental beginnings we didn’t realise what we were doing was coworking (but that’s a story for another time). Once we were up and running it became a regular concern. It takes time to make a coworking space financially sustainable. When you hear about other spaces opening and you’re feeling cash poor it’s easy to jump to the conclusion that competition will make growing your community even harder. There have been plenty of times that I’ve had sleepless nights over this and it might be that your ‘competitors’ feel the same. Being sensitive to that and talking openly with them at the earliest opportunity will help. It’s critical that you do not consider other coworking communities in your city to be competition. You have a shared ambition to make coworking the future of work and your true competition is traditional ways of working. To a lesser degree serviced offices, cafés, spare desks at agencies, and people’s home offices and kitchen tables are also competition. The more people there are collaborating on the promotion of coworking in your city, the faster people still doing things the old way will switch. The thing that helped me come around to this way of thinking was seeing what happened as a result of the other spaces being created in Brighton. It helped our members better understand why they chose The Skiff. It was rarely because of the location, the building or some other physical feature. They chose The Skiff because it was the community of people they felt most comfortable working with. This made our community much stronger and when one or two people left for the other communities, others joined to replace them. Experience the existing communities as a member yourself, participate and connect with the members to make sure you know exactly how the community you start will be different. You might even find that you don’t need to create one yourself. Build the community first, don’t make the often fatal mistake of getting a space first. Alex Hillman says it best here in How to fund your coworking space. Don’t make price the differentiator between your space and the others. When you start it looks easy to do ‘cheaper’ but you’ll be surprised by how many unexpected expenses pop up. We learned the hard way that we under priced by over 30% for the first few years. The cheapest desks in a city will always be spare places at companies that pay their bills with other products and services. 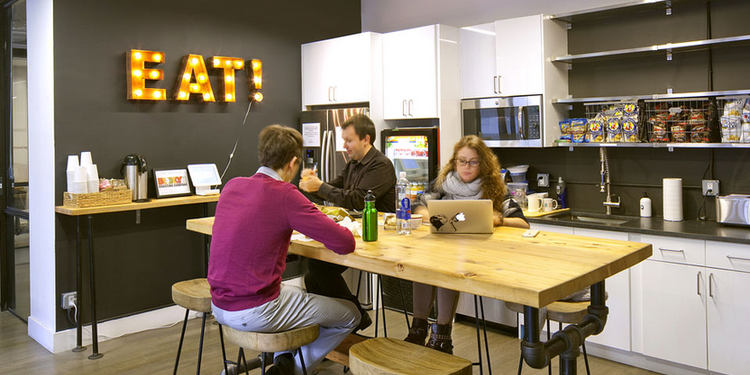 Talk to the founders of existing coworking spaces and explain how yours will be different. Rather than worrying, they’ll probably be able to help you understand some of the specific economics of operating in the city and recommend people who could be a better fit for your community than their’s. If you’d like to learn more from my experience building and growing coworking communities you should join the 500+ workspace leaders who get notified of my future posts. Author Community ContributionPosted on October 9, 2014 March 14, 2016 Categories Blogroll, Coworking, Ideas2 Comments on Is it a good idea to have multiple coworking spaces in one city? Quick update from Cowo Milano, Italy. In fact, even if we are full booked at the moment (5 desks), we haven’t had much attendance in the office these past weeks, and I wonder if the season has something to do with it. Furthermore, August is a month rather “slow” here in Italy (most companies/offices/stores close at least two weeks), so these days we are checking who’ll be around and who won’t for the rest of the summer. To our pleasure, we have received a one-day visit from a blog-friend and are expecting someone from the US too (are you anywhere near here, Susan?). Besides attendance and visits, we have improved the cowo site (blog, that is) with a list of coworking spaces in Europe and the rest of the world – thanks also to the excellent list provided in the cw wiki – along with few more “coworking resources” such as links to cw videos from Youtube and the wiki, cw photos from Flickr, cw blogs from Technorati… we are open to suggestions and of course ready to include your site, if you like. (Just leave a comment or write to me- max(at)monkeybusinessmilano.it). Last but not least, we are doing a networking effort with a linkedin group we called “friends of cowo-coworking” which counts, at the moment, 43 members from many countries. The feeling we have is that coworking is taking its course, and we try to go along with it – developing it but also understanding it… it’s good to see people settling down in your place and feeling good about it, we consider ourselves lucky to have such little community, what we mean to do right now is to keep providing such a service and aventually find ways of imrpoving it, but without any rush. So, thank you for reading this, and ciao from Milano! Author Massimo CarraroPosted on June 30, 2008 March 14, 2016 Categories Blogroll, Coworking, Elsewhere, Getting involved, Local efforts, Of interest, VideoTags cowo, Coworking, coworking resources, italy, milano2 Comments on Quick update from Cowo Milano, Italy. La Cantine, a new coworking space in Paris! 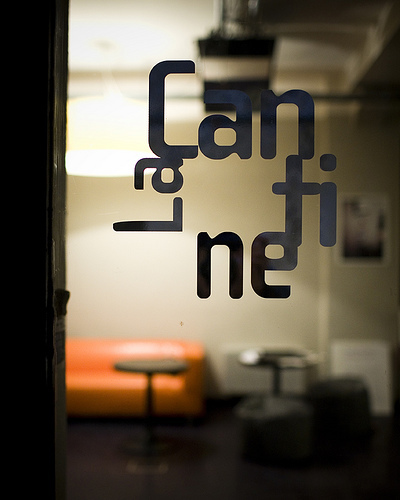 We are happy to announce to you that La Cantine by Silicon Sentier is opened since 30 january 2008. This is a networked collaborative workspace which facilitates conception and emergence of initiatives, new uses, products and services by accelerating ideas, creation and networked & open innovation. Additionally, La Cantine is openned up to international networks (co-working, art-oriented platforms, alternative venues, competitive clusters, specialized research labs, colleges and universities). Both a place of exchange and a technological showcase, La Cantine is open to professionals, tech enthusiasts and everyday users. Its 200 square meters dedicated to ascending innovation welcome all contributors to digital life. Test: test products and services in development to get feedback from La Cantine’s community of users and creators. This new collaborative space in Paris is open to all co-worker in the world. Silicon Sentier, the Paris-based digital start-ups association, initiated the project. Partners of La Cantine : the Ile-de-France region, Orange, the Fondation Internet Nouvelle Génération and the Cap Digital competitive cluster. La Cantine is located in a covered passage between La Bourse and the Grands Boulevards. Author siliconsentierPosted on March 9, 2008 March 14, 2016 Categories BlogrollTags cantine, collaborative, Coworking, silicon sentier1 Comment on La Cantine, a new coworking space in Paris!